Rosette Ranch was started in 2012 when we decided to move our family from our ¼ acre lot in the city to a 2-acre parcel in the country. They say, “you can take the kid out of the country, but you can’t take the country out of the kid” and it couldn’t be more true! Growing up in the country, we always knew we would return. This way, we were able to introduce our daughter to animal husbandry and the life lessons that it brings. You’ve just moved to the country - what do you do? Buy chickens, of course! For us, those chickens quickly turned into one horse and a cart pony. Riding lessons commenced and a little girls dream was born! Now if you are anything like us, this venture did not last long. One ride turned into the horse bolting at the speed of lightning and it was all over from there. The horses found new homes and we were left with 2-acres of beautiful land with nothing else on it than the riding lawn-mower! What a waste of perfectly good feed! 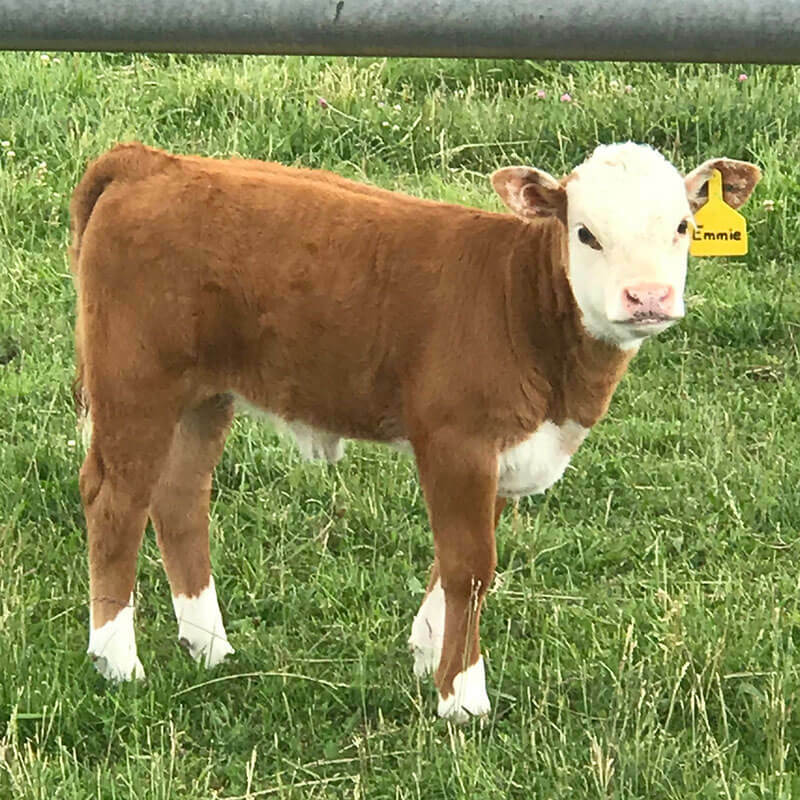 Thinking through the idea of cattle, we stumbled across the Miniature Hereford breed. I knew just looking into the temperament of the breed as well as the frame size of the animal, that this would be perfect for us! Herefords are known for their adaptability while Yakima, Washington, is known for scorching summers and freezing winters - a combination that works hand in hand, adaptability is key here. Not to mention, a smaller animal such as a Miniature Hereford might be a little less scary than the lighting-bolt speed of our previously owned horse. We started small, with a herd of two females whose genetics have produced winners in the show world. J-Cross from Ellensburg, WA and the Duval’s in Silverton, OR. We didn’t want to count out the option of our daughter competing with these animals through 4H or FFA. During our time with Miniature Herefords and growing our herd, we found a limited amount of influence for our genetics. So as a side venture we decided to develop a new blood line into the Miniature and Classic Hereford breed. Enter the Deewall’s. A pure, linebred herd that has been in existence for over 100 years! 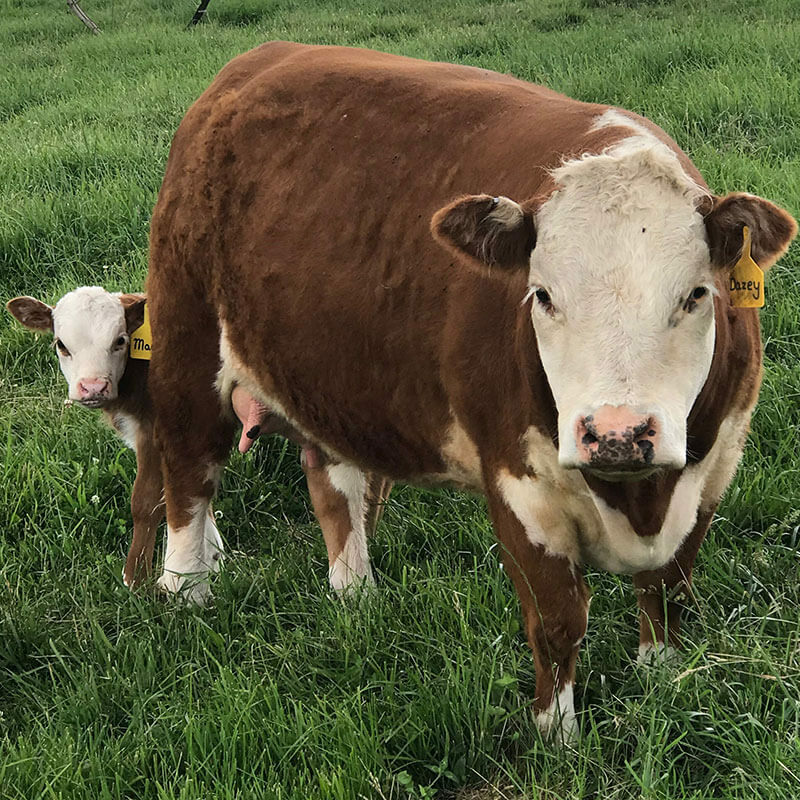 While the majority of Miniature Hereford animals look like show cattle of yesteryear, the Deewall genetics bring a Western range influence which delivers an aggressive foraging ability- something that is important to us at Rosette Ranch. So far we are impressed with the new production. Within this new line, we hope to bring vigor to the minis. The second generation will be hitting the ground in the Spring of 2019! We are so excited and look forward to what the future holds for Rosette Ranch!